You are here: Home What makes a great Exchange Traded Fund? An ETF (Exchange Traded Fund) is a diverse collection of assets (like a mutual fund) that trades on an exchange (like a stock does). This makes an ETF a marketable security and for this reason, this trading capability, ETFs can experience price changes throughout the day as they are bought and sold. ETFs typically have lower fees than mutual funds (although not always), which can make them an attractive alternative to mutual funds. We’ll get to that in a bit. Based on my personal experience, ETFs are easy-to-use, easy to buy, and can offer low cost, tax efficient ways to invest your money. This is particularly true if you own an ETF that tracks a broad market index, or an indexed fund. 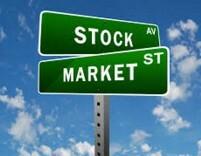 You can learn more about ETFs here. Here’s my take on indexing to my younger self. A number of things come to mind for me, in no particular order of importance. ETFs can track an index, follow an industry sector, be factor or rules based, or be much more. There are smart beta ETFs that exist that have the potential to reward investors by exploiting certain facets of the stock market. To date, I have an affinity to plain vanilla, broad market equity indexed ETFs or dividend ETFs. The former provides market-like returns less skimpy money management fees and the latter has a bias to delivering some predictable income; tangible money I can use and spend as I please. I avoid ETFs based on futures, hedges or swap agreements. I also don’t own any bond ETFs at this time although they can make a great deal of sense – to protect your portfolio from bad market corrections. Part of my investing philosophy is – avoid investing in anything I can’t explain to a 10-year-old. This philosophy applies to ETFs. You are welcome to invest in sophisticated financial products but in my opinion those products are typically designed to benefit the company that sells them, not the investor. You already know from reading my blog, high fees and multiple transaction costs will kill your portfolio. It’s a bold statement but one worth remembering. I’ve learned as much from my own costly experiences. 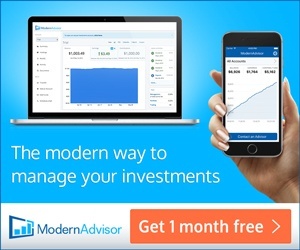 Consider $50,000 invested in a pricey mutual fund costing you 2% in money management fees. That’s $1,000 dollars lost per year for every year you own the fund. Now consider owning that fund for 10 years. That will be thousands of dollars lost due to fees. Now consider the same $50,000 invested in a low cost ETF that charges less than 0.2%. (There are many of them on the market than charge less than 0.2% by the way.) Now your money management fee is only $100 per year. I don’t know about you but I’d rather keep the other $900 in my pocket (in year one alone) instead of giving it to someone else. Ultimately it’s your decision and it’s your money. Low fees are just one of the factors you need to consider when owning an ETF. When it comes to fees, my bias is, I try to keep the management expense ratio (MER) (the fee paid to the fund’s manager, as well as taxes and other costs) low for as long as possible; say under 0.2%. You can even go lower than that. 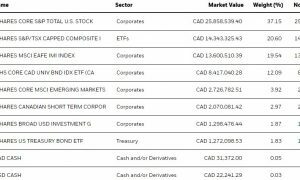 You can find a list of my favourite Canadian ETFs here. You can find a list of my top Canadian dividend ETFs here. You can find a list of my top U.S. dividend ETFs here. I hope to publish an updated post about my top international ETFs soon. Here is another post for international ETFs. In short, tracking error is the difference between the performance of the fund (the ETF) and its benchmark (it’s track). I would advise you to look at the fund’s prospectus before you buy it and strive to own ETFs with low tracking errors. Along the same lines as ETF “Style”, you should be very mindful of the assets within a fund and how diversified the fund is before you buy it. For a quick example, I’m a big fan of Canadian ETFs like XIU and XEI – from BlackRock iShares. XIU holds the largest 60 stocks in Canada and has delivered stellar returns for many years. XEI holds about 75 of the best dividend paying stocks in Canada, delivering steady monthly income to investors for approximately the same low fee. XEI has traditionally owned about 30% financials and 30% energy companies, the rest of the Canadian economy is also fairly represented. Image courtesy of BlackRock iShares XEI – March 2017. Compare XEI to other Canadian dividend ETFs and you’ll see big differences – even within the same category. One example is Vanguard Canada’s VDY. VDY has similar holdings as XEI, has a similar fee as XEI but the proportion of financials is close to 70%; more than double XEI. This means, as Canadian financials goes so does VDY performance. While Canadian banks and life insurance companies have flourished in recent years, nothing is for certain. Therefore I would argue XEI is more diversified than VDY; VDY has too much financial sector concentration that exposes this fund (and investors in it) to more risk if they are banking (pun intended) on financials alone. At the end of the day my takeaway message to you is this: all ETFs are not created equal. This means investors should consider owning funds that are diverse as possible and avoid funds with too much concentration in any one or just a few industry sectors. If you’re investing outside registered accounts (such as RRSPs, RRIFs, TFSAs, RESPs, LIRAs) like I do, then you need to consider the tax efficiency of your investments or ETFs. Be wary of ETFs that have lots of turnover by the fund manager (through buying and selling securities) – those funds are likely to result in more costs to you. In taxable accounts, I would advise you to look at the fund’s prospectus before you buy it and strive to own ETFs that are as tax efficient as possible. XIU is in particular an excellent candidate for Canadian content in a non-registered portfolio because it very efficient and eligible for the Canadian dividend tax credit. There are other Canadian funds that fit this bill as well but this is one of the best in my opinion. While past performance is never indicative of future results unfortunately history is all we have since nobody can predict the financial future with any accuracy. I personally only own ETFs that have a demonstrated market history; i.e., of at least 3-years or better still, 5-years on the market. While investing in new ETF entrants are fine, be mindful that ETF tactics can change by the company that runs the fund at will. These changes can sometimes be to the detriment of the investor; investors have no control over that. If that’s not for you and it seems too risky then consider owning plain vanilla, broad market indexed ETFs or potentially dividend ETFs for income. The structure of those ETFs should not change wildly over time but nothing is guaranteed. Liquidity relates to “Style” and “Diversification” above. If you’re investing in XIU, ZCN, VCN or other indexed ETFs, including those that track a U.S. index like the S&P 500 then you’ll find your ETF is probably rather liquid. The more liquid your ETF is maybe the better. Liquidity means you’ll avoid what is known as large “spreads” when buying or selling your fund. If the ETF is not traded very often or more importantly, if the fund’s underlying holdings are not traded often (such as smaller-cap stocks versus large-cap stocks) then you may have a fund that is not very liquid. This is not a huge cause for concern but it can compromise your returns; poor liquidity usually means you’ll pay more for that fund when transactions costs are incurred. In summary the more informed you are about ETF products or any financial products for that matter, the better your financial decisions should be. I hope this post has primed you in your quest for ETF investing greatness. Do you invest in ETFs? If so, what do you consider? What have you learned? If you don’t invest in ETFs yet, why not? You can find my two-pronged approach to investing here and here. 13 Responses to "What makes a great Exchange Traded Fund?" Vanguard recently switched a few of my index funds into index trusts. Lower expense ratios and thus far seems to track the stated indices. Do you know if trusts also provide tracking error numbers? There are likely other reasons but these come to mind. Good job with this post and the other 3 links relating to the increasingly complex maze of ETF’s available to investors. I like the choices you’re a fan of. Thanks. I’m a big fan of HDV and for more diversity VYM when it comes to USD ETFs. Investors could also consider VTI for the US market and VXUS for the international market. Throw in whatever you wish: XIU or XIC or ZCN or VCN etc. and with 3 equity funds you have an entire equity portfolio built to last for the next 30 years! I hear you on the fees- have to keep them low at all costs (pun intended). One other thing to consider is distributions. You mentioned broad market indexes v. dividend ETF, but i will evaluate how and when the fund distributes dividends. There are some options out there where the fund will pay monthly dividends which is fantastic and can solve for both broad market accumulation and predictable steady income. Fees are very important but if you’re trading ETFs all the time then you’re not helping the issue. Also, fees while important are just one factor to consider – hence the post. How a fund distributes the money can be a very important factor for many investors. I like US dividend ETFs for that reason actually – I can hold lots of US companies at a very low cost (examples include HDV and VYM = MER = 0.08% which is peanuts). This is a great post. Your lists are very helpful for investors that are just starting out since there are SO many ETFs that it has quickly become overwhelming. We hold a lot of the ETFs that you mentioned however it bothers me that some of them have very little dividend growth since that is a large component of our strategy. For example we hold XEI but the dividend growth is just not there so I’m second guessing that holding. Is this dividend growth unpredictability just an extra risk of holding ETFs vs individual stocks? That’s the idea, so thanks very much for the comment. Again, these are my thoughts although I can appreciate there are likely many others that I left out that could be good for investors depending upon their needs and objectives. Interesting comment about XEI. It’s not designed for growth but for income, so you won’t see very much price/capital appreciation from this product. Instead, you will get more sustainable income. If your goal is to grow your portfolio value, I would strive to own XIC, XIU, VCN or ZCN vs. XEI. If you’re looking to keep your income intact (largely regardless of what the market does) then XEI may be a better product. The advantage of ETFs is built-in diversification – you can avoid individual stock picking but you’ll pay an ongoing fee for that. If you have enough assets, you can consider unbundling your Canadian dividend ETF – this is largely what I do. I own the top 20-30 stocks in XEI (and XIU) directly and avoid fund fees for doing so. I get the same yield as XEI but I also get some growth like XIU. It’s more risky but there can be more reward. Great post and like the simple approach. As a Canadian investor, what is your philosophy about CAD hedging given the potential volatility around energy etc? Personally, I’m not a fan of CDN hedging. It drives up costs and costs are generally based for us retail investors. 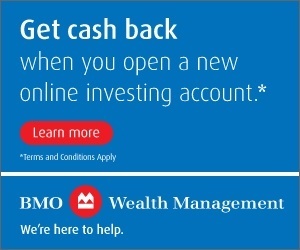 You pay for simplicity, i.e., Canadian-listed ETFs. There is always lots of volatility somewhere 🙂 I figure if I keep investing with a long-term focus, control my investment costs, keep a high savings rate and control my tax issues where I can – it’s all I can do. I can’t worry about energy sectors. Just diversify and ride whatever my stocks and ETFs earn. I hope that helps? I’m trying to figure out something about ETF fees. Do ETF’s that hold other ETF’s have double the expenses? There’s an ETF (for instance XEM) that has a MER of 0.82% and it holds another iShares ETF (from the US) EEM that has a MER of 0.72%. Knowing the financial industry I’m thinking that they calculate the NAV on the US ETF after fees so Blackrock is taking 1.54% in total on the Canadian ETF-do you know if this is true? I tend to look at ETF’s that don’t hold other ETF’s for this reason, but don’t know if I’m right. They wouldn’t have double the expenses, but they would have fees likely. So, if my assumption is correct (I would need to read the iShares prospectus you are talking about for XEM) then you are paying for two levels of service with wrapped products: 1) one (small fee) for that wrapped product and 2) fees to the iShares money managers that run the other funds within the wrapped product. Knowing the financial industry, I would be surprised if the wrapped product, the fund of funds, is free 🙂 So, for that reason, I don’t look and would never hold personally, a wrapped product. You’re getting too much complexity but that’s just me. I would rather own a handful of ETFs outright, the low cost kind. “Canadian equity – XIU or XIC or VCN or ZCN (inside TFSA or RRSP). U.S. equity – VTI (inside U.S. $$ RRSP) or VUN (inside RRSP).